List of famous female bassists, featuring bios and photos when available. 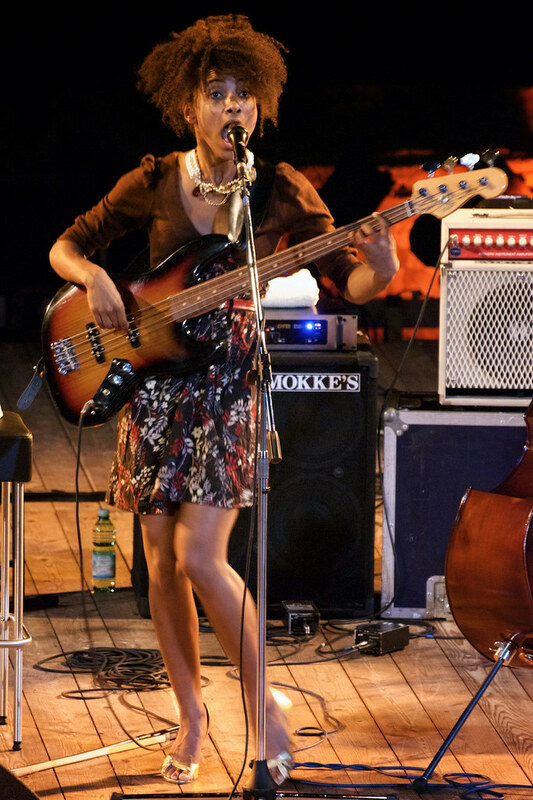 This female bassists list contains the most prominent and top females known for being bassists. The female bassists of note are listed by their level of prominence, and you can be sorted by various bits of information like date of birth or birthplace. There are thousand of females working as bassists in the world, but this list highlights only the notable ones. Kim Gordon and Aimee Mann are included on this list along with many more female bass players. While this isn't a list of all female bassists, it does answer the questions "Who are the most famous female bassists in the world?" and "Who are the best female bassists?" The most notable female bassists in history and today are shown below. Enjoy this list of well-known, leading female bassists. If you want to share these historic female bassists you can use one of the social media icons at the top or bottom of the page. #28 on Make Your Voice Heard: Who Are the Best Female Jazz Singers?